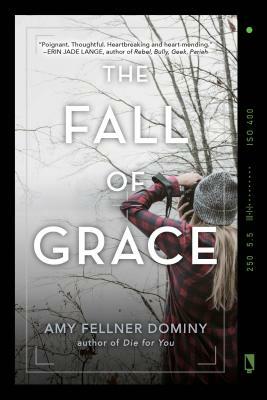 Fans of Sarah Dessen and Jenny Han will love The Fall of Grace, an adventure-thriller with a hint of romance, in which not everything as perfect as it seems. Grace's junior year is turning into her best year yet. She's set to make honor roll, her print from photography class might win a national contest, and her crush just asked her to prom. Millions of dollars are unaccounted for, and everyone wants to know where all the money went. Can she find it and clear her mother's name? Sam Rivers, a mysterious loner from school, is on her trail and wants to know exactly what secrets she uncovers. As the pair travels into the wilds, Grace realizes she must risk everything on the dark, twisted path to the truth. Amy Fellner Dominy loves writing for kids of every age. She is the author of picture books as well as middle-grade and young adult novels, including The Fall of Grace, Die for You, A Matter of Heart, and OyMG, a Sydney Taylor Notable Book. Amy lives with her family in Phoenix. To learn more about her and her books, visit her online at amydominy.com or follow @amydominy on Twitter.